Regina graduated from the Herder Gymnasium in Forchheim in 2012. After doing an internship in London, she began her studies in law at the FAU in 2014. Regina participated in the certificate programme English Legal Language. Besides her studies, Regina has been engaged as a corporate student for Siemens and KPMG and was chosen for KPMG’s promotional programme for students. Regina partakes in the Vis Moot in order to deepen her legal knowledge as well as her English skills and get to know interesting personalities. 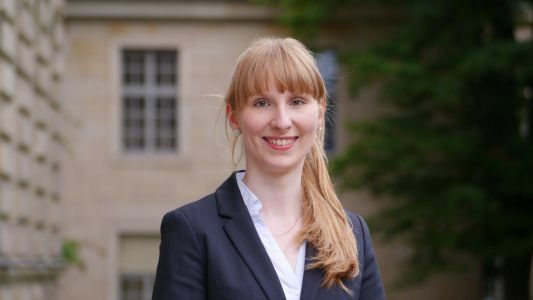 Luise grew up in Nuremberg and graduated from the Neues Gymnasium Nürnberg in 2015. Afterwards she started studying law at the FAU in the winter term 2015. 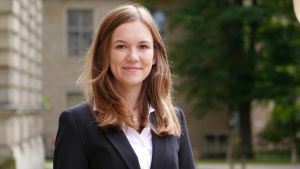 Luise is working as a student assistant for the Ethics Commission of the FAU. During her studies, she developed a special interest in civil law and therefore wants to specialize in commercial law. By participating in the Vis Moot she would like to acquire knowledge in the fields of international arbitration law and international sales law as well as to improve her command of English. She is particularly looking forward to work in a team and to get to know law students from all over the world. Stefan began to study business law (LL.B.) after having graduated in 2015. He is an enthusiastic athlete and is playing volleyball at least two times per week at the university. Stefan has worked as a handball referee for two years. For the last two years Stefan has been living in a flat share with international students. Therefore he spoke and discussed matters in English in his everyday life. 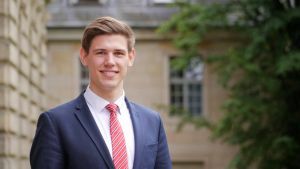 These experiences attracted him to the Vis Moot, where he hopes to improve his rhetorical skills and get an insight into the field of international business law. 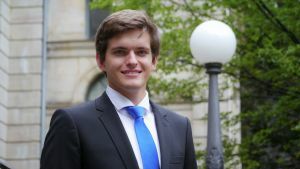 After having graduated from the Johannes-Scharrer-Gymnasium in Nürnberg, Nick started his law studies in 2013. He participated in the certificate programme “English Legal Language” and will complete the programme this October with the Certificate of Legal English: Advanced Level. Under the Erasmus Programme Nick spent a year at the University College Cork in Ireland and graduated with the Diploma in Common Law. In August 2017 Nick participated in the International Summer School in Russian Law at the Siberian Federal University in Krasnojarsk, where he got a first insight into Russian Law. Nick is looking forward to the Vis Moot because it is an opportunity to deepen his knowledge of international commercial law and arbitration. Mathis graduated from school in summer 2014. Afterwards he played handball in the German youth league and started his studies at the FAU in 2015. 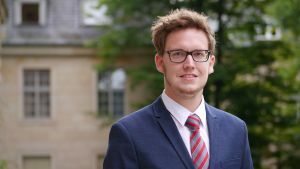 Alongside his studies, Mathis works for a legal services company in Nürnberg, where he got an insight into legal practice. 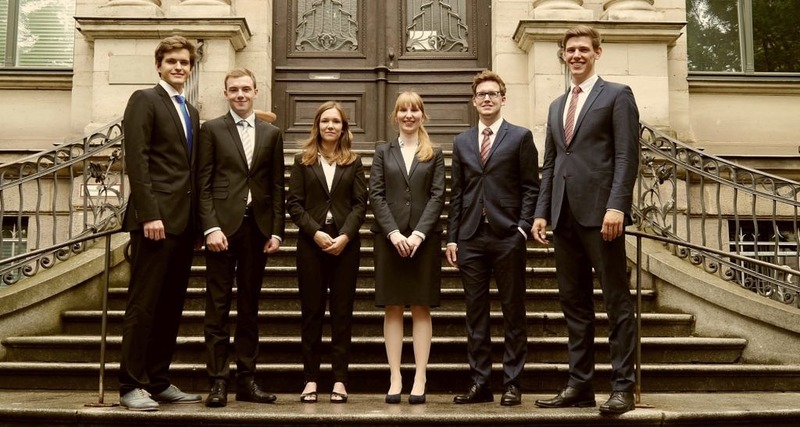 To Mathis, taking part in the Vis Moot is a great and unique chance to discover a new field of law together with a team of other law interested students. He is also looking forward to meeting people from various countries in Vienna. Markus graduated from the Wolfgang-Borchert-Gymnasium Langenzenn in 2014. In the same year he began the studies of law at the FAU. 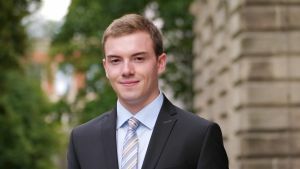 As Civil Law is one of his main interests, Markus chose Business Law as his major subject (specialization in banking and capital markets law). By participating in the Vis Moot he aims to improve his English skills and gain experience in drafting memoranda. Markus is looking forward to obtain a practical insight into international contract law and meet (prospective) lawyers from countries all over the world.